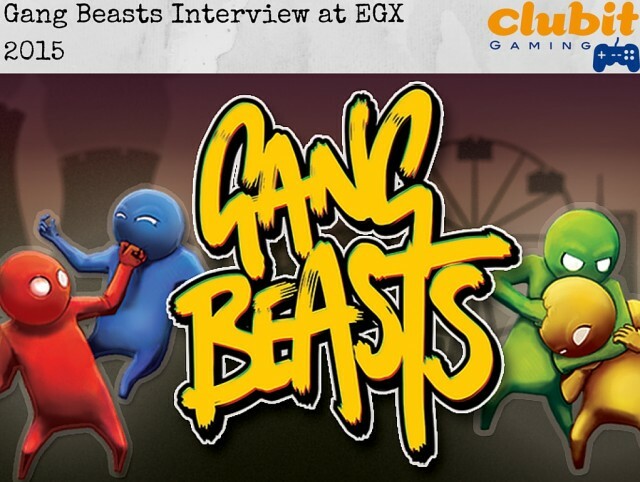 Interview with Gang Beasts the Hilarious Melee Fighting Party Game at EGX 2015! Gang Beasts is brilliant take on the party-play, melee fighting game. With it’s ingenious physics engine driving players into a world of gelatinous brawling. Gang Beasts is inspired by a Streets of Rage and Final Fight style of game but, with a twist! 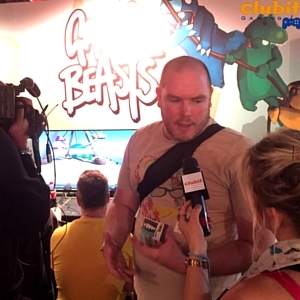 We interviewed James at EGX 2015, watch the video below! 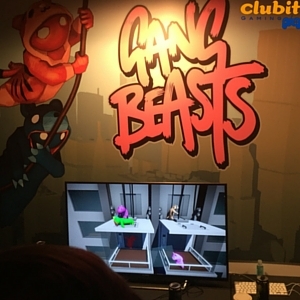 We, at Clubit, first became aware of Gang Beasts when seeing their exhibition at Gamayo in Leeds in April 2015. 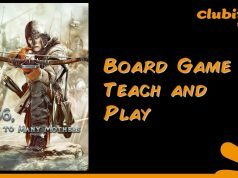 We quickly became enthralled by the hilarity of the gameplay, characters and character physics. The player controls an almost “telly-tubby” like character and then just starts brawling with the other, similar characters. It is already that perfect ‘mates-on-a-sofa’ style party game! Boneloaf, the developers of Gang Beasts, began initially as a team of three brothers. James, Jon and Michael Brown. The team have been developing Gang Beasts from approximately late 2013/early 2014 into where it is now (Mid 2015) and it goes to show just how much care and attention the guys are paying to the intrinsic little details which make the game so much fun. Gang Beasts is available currently on Steam early access. So Windows, Mac OS and Linux users may already join in the mayhem! 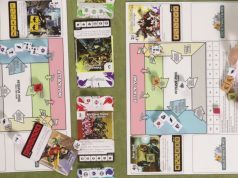 The game is set in the fictional environment of “Beef City” and, as James tells us the team are working hard on building some “escalation” into the environments. Meaning that they should begin to deteriorate over time and, pose an increasing risk to the players well being. 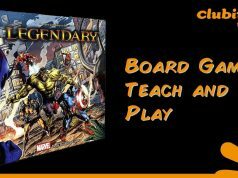 This is to enhance the accessibility of the game to players of all skill sets. So players of a high skill level can still be destroyed by environmental debris! James tells us that there is no fixed point as yet for a release date. However when telling us of an announcement made that Gang Beasts will be available on PS4 he mentioned that the game will also be available on PS Vita. Initially Playstation announced that the game would be due out Mid 2015 however it seems as if that was too ambitious on the part of Playstation. James intoned that a release in early 2016, published by Double Fine, is not beyond the realms of possibility. Check out our interview with Michael at GaMaYo in April 2015. Previous articleTeam 17 interviewed about The Escapists: The Walking Dead! Next articleWorms WMD debut UK showing at EGX 2015!